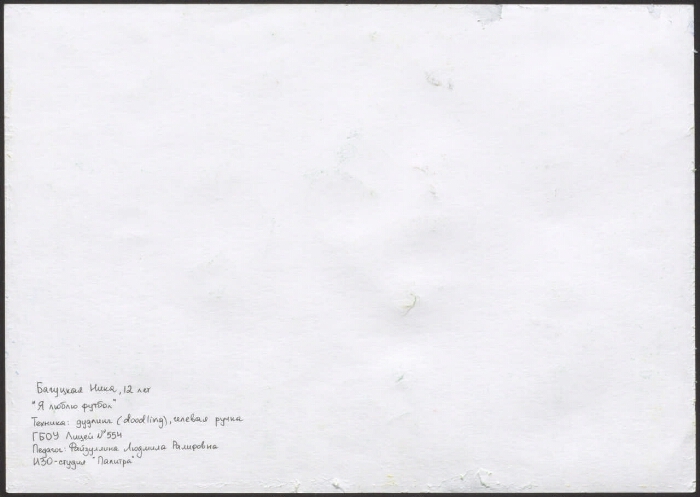 Author of the drawing - Nika Bagutskaya, 12 years old, GBOU Lyceum № 554, teacher - Lyudmila Rafifina Fayzullina. Picture is made in the technique of "do notling." Users are not allowed to copy. The urban center for medical prevention with the purpose of promoting physical culture among children and adolescents as one of the main factors of a healthy lifestyle was organized by the city contest of drawings of pupils of IZO-studios of state educational institutions additional Education of children of St. Petersburg "movement - a pantry of health", supported by the Committee on Health, Committee on Education and Physical Culture and Sports Committee. The competition was timed to coincide with the FIFA 2018 World Cup in 2018 in St. Petersburg. The contest was held in two stages from December 1, 2017 to April 6, 2018 in two categories: Active Family Recreation, Physical Education, Tempering; "Football is my favorite sport" . I. "Movement - a pantry of health," the city contest of drawings of students of IZO-studios of state educational institutions of additional education for children of St. Petersburg (2017-2018). II. City Center for Medical Prevention (St. Petersburg) .1. Soccer World Cup. 2018 year (collection). 2. Sports in Russia (collection). 3. The people (the collection). 4. 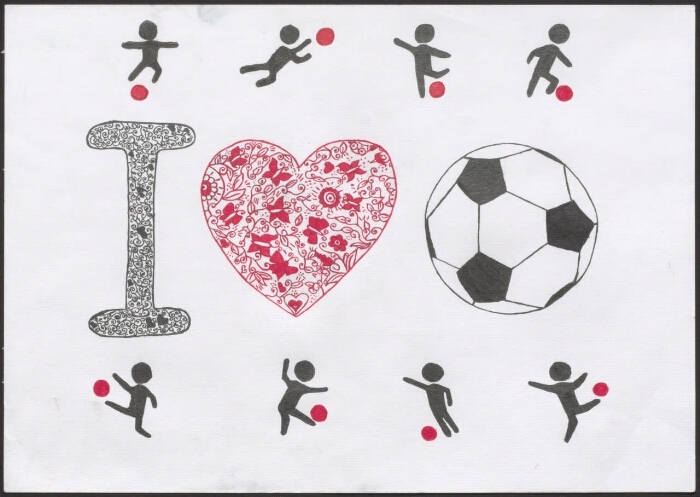 Football - Reflection - Children's drawings. 5. Children's art creativity - St. Petersburg, city.